However, if you are already a player of the game, you already know that the game becomes interestingly challenging at some point. A time comes when you’ll want to create an element, but you will have no idea of what elements are need to be combined. Cake is an element sought after by many Little Alchemy players. Unfortunately, it is not so easy to create these elements without knowledge of what elements are needed to be combined. To help people who desire to create ‘Cake’, we put up this article. In the article, we’ll inform you about elements required to create Cake, as well as how to create its parents elements. In addition to that, we’ll discuss products of its parents. Here we go with our content. 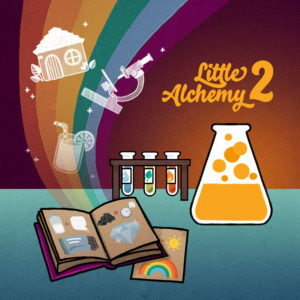 Cake is a highly desired Little Alchemy cheat, just as stated above. The element is a final element, and it can be created from a single combination of elements — do not forget that some elements can be created from multiple combinations, but this is not the same for Cake. Cake is produced from the combination of Candle and Dough. Candle is a relatively popular element, unlike Dough which is relatively scarce. You do not have Candle and Dough, but you wish to have them? All you need to do is to read the subsequent content. Candle is an element that can be created from two unique combinations. The elements that can be combined to yield Candle include: Wax, Fire and Thread, with Wax being the most important of the three. Wax is considered the most important parent element of Candle because it is one of the components of the two combinations that yield Candle. Wax can be combined with Fire to yield Candle, and it can also be combined with Thread to yield Candle. Dough on the other hand can be produced by a single combination, just like Candle. There are two elements that yield Dough, and they are namely Flour and Water. Do not forget that Water is one of the basic elements in Little Alchemy. In case you have not heard that Little Alchemy term, basic elements are elements that can not be produced by any Little Alchemy combination. They are also elements provided at the beginning of the game. Although Candle is a relatively common element, it is however not so resourceful. The element has only two combinations which yield unique elements. These combinations in question include its combination with Dough which yields Cake. Its other combination is that with Pumpkin. When Candle is combined with Pumpkin, Jack-O’-Lantern is the element yielded. Moving to Dough, Dough has 8 unique combinations apart from its combination with Candle. These 8 combinations of Dough will yield the following elements: Pizza, Bread, Pie, Gingerbread House, Baker, Gingerbread Man, Donut and Cookie.